Heiser Ford Lincoln Welcomes Used Car Manager, Tim PennHeiser Ford Lincoln is excited to have Used Car Manager Tim Penn as the newest member of their team. All dealership employees are trained to serve their community of customers in a professional way, and Tim is no exception. In addition, he brings some real southern charm to the job, from his small-town roots in Virginia. No one beats a deal from Heiser Chevrolet Cadillac in West Bend! Did you hear the news?Heiser in West Bend is the fastest-growing Chevrolet dealership in the state! *It’s all about having the best selection, right price and knowing how to treat customers. 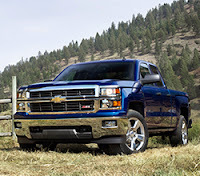 Right now, lease the all-new 2014 Chevrolet Silverado for just $349 a month. ** Silverado comes with a 2-year/24,000 mile Maintenance Program.But, Heiser will make it one better!For a limited time, we’re offering any new 2014 Silverado buyer AN ADDITIONAL YEAR OF MAINTENANCE. Give Heiser a chance to prove we can beat the competition.Stop in for our best offer when shopping for your next Chevrolet.We’ll make it worth your while. Heiser’s Blowout Pricing extends to 2014 Vehicles! Now is the time to rake in the savings at Heiser Ford. Our lots are really overstocked with remaining 2013s, but also 2014 vehicles. So, we’ve clearly marked each car, truck and SUV on our lot to MOVE! With deals like this, it’s no wonder Heiser was named Milwaukee’s Best Domestic Auto Dealership! 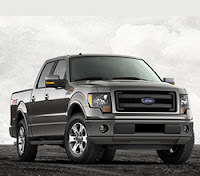 *** Don’t miss the excellent selection, price and service at Heiser Ford. Visit us just west of Bayshore Mall on Silver Spring. 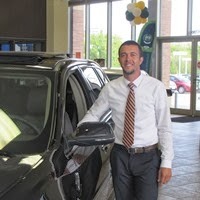 I look forward to welcoming you to our dealership!